In the summers, we get to spend extra time with my stepsons and we have my kiddos almost every day, all day. While we love it, it definitely makes things tricky. My husband and I both work full time, so we have to weave an intricate matrix of “I’m-remote-this-day, you’re-remote-that-day” to ensure that someone is home with the kiddos during the week. Throw in business travel, volunteering, and events/dinners outside of working hours, and our matrix would make any flight control tower operator sweat a little. Lest you think I’m over here on my exasperated pedestal, wondering how anyone could possibly buy into the ridiculous lies and insecurity and jealousy that come oh-so-freely with a blended family, let me tell you—I am the Queen of buying into the lies of the Enemy. The Queen. More often than I care to admit, I believe the same lies that my stepchildren hear from others, from society and from the media. 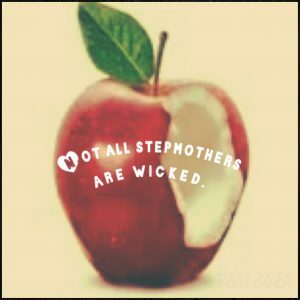 We’ve been programmed by Disney for years that stepmothers are wicked, right? They are jealous, hateful monsters who seek only to lock you in a damp attic so they can have your father’s money and attention exclusively, yes? Hey, I love the attention I get from my husband. He’s affectionate and funny and makes me feel like the most important person in the world. Do I expect him to ignore his kids and pay attention only to me? Good heavens, no! I love how much he loves his (and my) children, and it only makes me adore him that much more. As for the money part—I make my own money, thank you very much. We both work hard to take care of our family and neither of us would have it any other way. Entitlement has no place in this home. While we can logically separate the stepmothers portrayed in Disney cartoons from real life, we do fall for the lies of the Enemy over and over again. On especially crazy days, when parenthood and work and the responsibilities of life feel like too much, I start to let my hurt feelings and helplessness outweigh the opportunity and gifts I’ve been given. I wish away my life, one blended week at a time. All too soon, these precious (albeit taxing) days of our young family will be gone, and I’ll be left wondering where they went. I want a whole storehouse of sweet memories with all five of my kids before they leave home to start their own families. I want to make the most of the short time I have with all of them. But it’s so hard, when you’re in it. 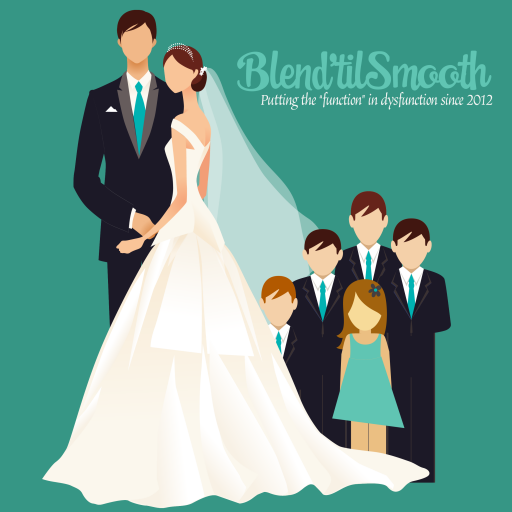 Maybe you aren’t in a blended family and you’re hearing the same whispers of untruth. Other parents seem to have it all together, and you don’t. If you have to look at one more Utopic collage on Facebook of a perfect beach vacation, with a smiling family in coordinating white and khaki outfits, basking in the glow of a gorgeous sunset, you’ll lose it, right? Here you are, surrounded by 63,337 Legos, none of which are from the same $100 set, and you’ve stepped on 63,335 of them. You’re cleaning up dog vomit with one hand, and confiscating an iPad from a whining child with the other. You have a conference call in 10 minutes and you realize you haven’t made lunch (a lunch that at least 60% of your children will criticize and dramatically gag about). Utopia, it is not. I will readily admit that. What I strive to remember, and ask you to remember is that there are so many moments of sweetness inside the mess of it all. An unexpected hug from my stepson. A little love note from my husband. A mid-day snuggle with my daughter. A meal that is met with an approval rating above 60%. These moments are there. They’re everywhere. I promise. Don’t let the Enemy choke out the joy from the everyday. You are right where God wants you to be, and the season of parenthood is so short. Don’t miss it. 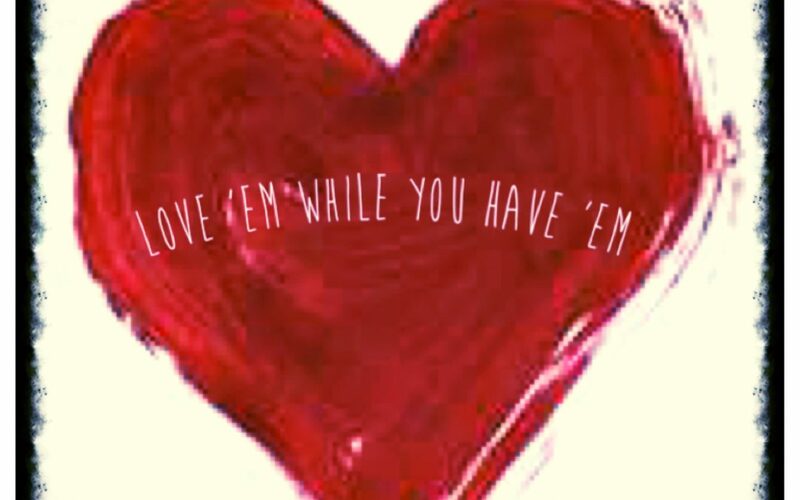 Love ‘em while you have ‘em, mamas. One day at a time.